Whenever you shop on our website irrespective of the order value, time, promo codes, season or offseason, sale or no sale you will earn additional 10% cash back as a Budget Pet Care Credit in your Budget Pet Care account on each order you place. Below are the answers to some FAQs about the Budget Pet Care Credit which will solve your dilemmas and doubts. When Will The Budget Pet Care Credit Cashback be Credited? 10% Cashback will be credited immediately after the order is shipped. Where Can I Find/Check The Credited Cashback In My Budget Pet Care Account? You can see the Budget Pet Care credit balance by logging into your account and clicking on the “My Account” tab present on the top right-hand side of the website. When Will I Know If I Have Received The Cashback? You will be intimated via email as soon as the cashback is credited to your account. When Can I Use The Budget Pet Care Credit Balance? How Many Budget Pet Care Credits Can I Redeem In One Purchase? Can I Redeem The Whole Credit Amount At Once? 20% of the total order value can be redeemed at once. For example- If your order value is $400 then 20% of $400 that is $80 from your Budget Pet Care credit balance can be redeemed. Moreover, if the total credit balance constitutes 20% or less than 20% of the order value, only then, the whole Budget Pet Care credit balance can be redeemed at once. How To Redeem The Budget Pet Care Credit? Redeeming your credit balance is very easy. 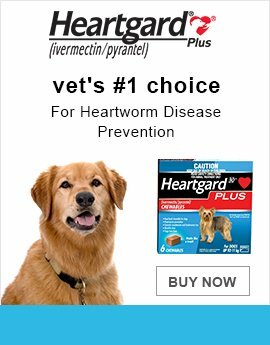 We have designed our website in such a way that it will automatically suggest you the eligible amount of Budget Pet Care Credit you can use while you are on the CHECK OUT page. You can find the credit balance application section just beside the coupon code application section. You can also enter the amount of credit you want to redeem from your credit balance. However, the amount you enter should be equal to or less than 20% of the order value. The credit section will also show the maximum amount you can redeem i.e. 20% of the total order value. Can The Budget Pet Care Credit Be Clubbed With A Discount Coupon Code? Yes, the Budget Pet Care credit can be clubbed with the discount coupon offered on a particular day by the company. Will I Still Earn 10% Cashback Credit On The Order In Which I Redeem My Budget Pet Care Credit? Yes, you will still earn the 10% cash back credit on that order. The amount that you will earn on a particular order will be visible on the order confirmation page. Please Note: The Cashback will be credited to your Budget Pet Care account only after the order is shipped. Is There Any Limit To The Number Of Budget Pet Care Credit Cashback I Can Receive? No, there is no limit. You will earn 10% cash back credits every time you order from us. Can I Redeem The Budget Pet Care Credit For Cash? Budget Pet Care Credit balance can only be redeemed as a discount on the value of the order placed. 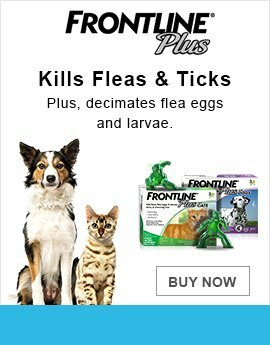 What Happens If I Changed My Mind And Canceled The Order Or Returned The Product With The Earned Budget Pet Care Credit Cashback In My Account? The Budget Pet Care credit cashback will only be credited to your account when the order is shipped. In case the order is canceled or returned and we have initiated a refund for the product, the Budget Pet Care credits earned from that order will become null and void. Also, the Budget Pet Care credits used to order that product will not be refunded. 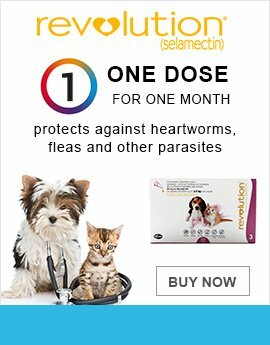 Is The Cashback Credited As Budget Pet Care Credit The Same As Any Bank Cashback That Is Run On The Website? No, the 10% cash back is the Budget Pet Care credit and can only be used to avail discounts while ordering the product from our website. The duration of the offer, Budget Pet Care credit cashback percentage on an order, validity, and percentage of usage of the Budget Pet Care credit on a single order can be changed anytime without any further notice and is solely under the company's discretion. In case of a return, the Budget Pet Care credit applied to purchase the product will not be refunded. The offer can be discontinued anytime without any prior intimation. Budget Pet Care credits can be made invalid anytime without further notice and are solely under the company’s judgment. Since Budget Pet Care credit cashback is credited immediately after the product is shipped, the amount of Budget Pet Care credits earned by a particular order can only be redeemed once the customer has received the product and is not returning or claiming a refund. In rare circumstances, if the customer immediately uses the Budget Pet Care credits (for another order) earned by an order which he/she returns later and gets the refund, the Budget Pet Care credits used(for another order) will no longer remain applicable and the customer will have to pay the remaining equivalent amount to get the order shipped.